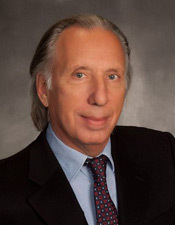 Mark Cohen is the CEO and founder of Legal Mosaic, a legal business consulting company. He is also chief strategy officer and chair of the advisory board for Elevate, a legal consulting and technology company. He was the co-founder of Clearspire, a groundbreaking legal service provider, and has had a distinguished legal career as an assistant U.S. Attorney, a Biglaw partner, and founder and managing partner of a national litigation boutique firm. He is a regular contributor to Forbes and other legal media outlets. Cohen was appointed a CPEI Distinguished Fellow in October 2017. In this role, he works closely with CPEI leadership on outward-facing initiatives in the areas of law, business, and technology.